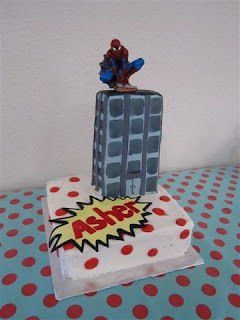 this lovely handmade cake was made by the one and only Kahea from the blog Tickle Cake. she's an artist turned cake decorator and she made this cake for me as a trade for her daughter's baby announcements. i love trades. they make me happy. 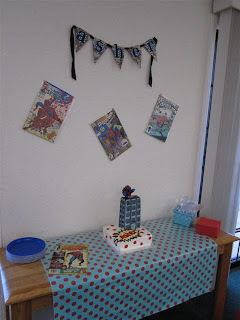 some of our close friends picked up some spiderman comics that we used as decorations around the room and on the cake wall. thanks chris and melissa! bunting, of course. 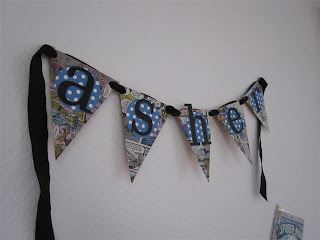 made out of comic book pages and the polka dot paper that lined the envelopes for the invitations. 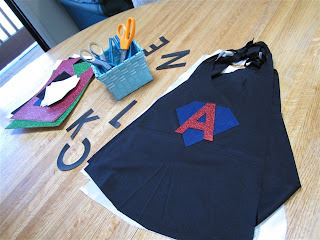 my favorite part: the decorate-your-own-super-hero-cape craft. 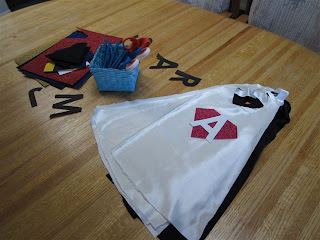 it was so cute seeing all the kids running around with their very own cape. 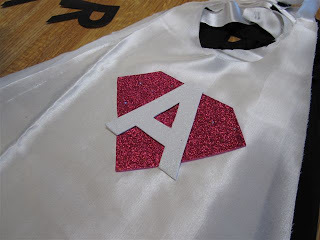 just a little sticky back felt and glitter foam board. i precut the fabric and hot glued velcro to the straps. 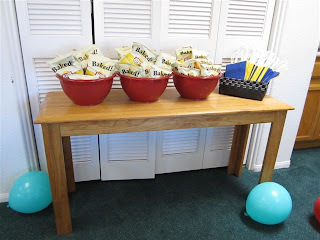 i kept the craft was super simple because we had over 20 kids and it was a parent-assisted craft so i wanted to make sure it was fast enough for everyone to make one. 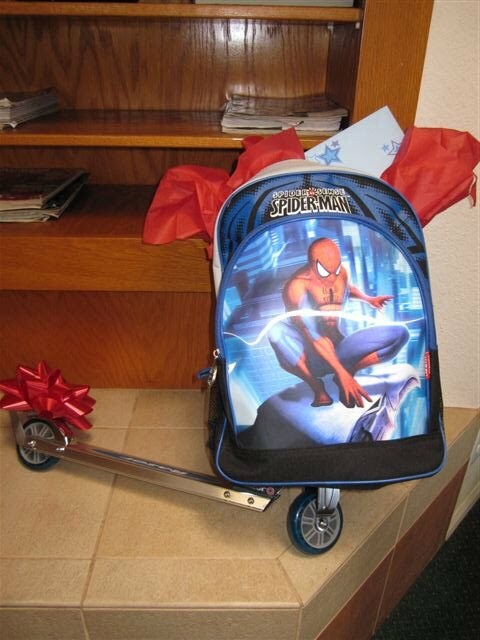 one of many spiderman gifts big A received. all in all, it was a hit. I have an important question. Why in the world are you just so dang cute?!! Super cute party Tara! You're an awesome mommy!